Gluten and Wheat free soft multigrain loaf. 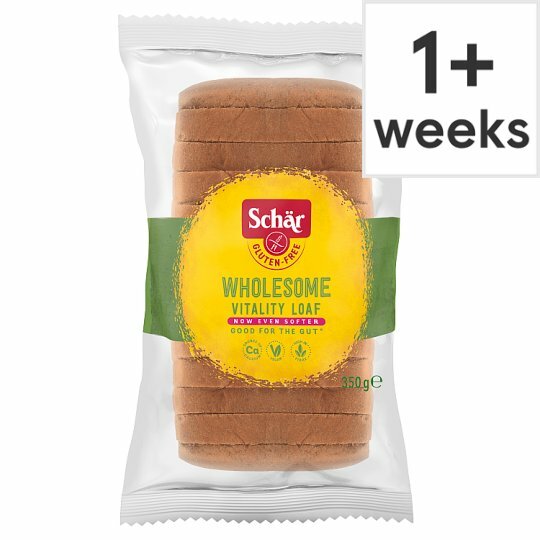 Already Europe's favourite in gluten-free, Schär are now here in the UK with the mission of making every food moment one you'll savour. Whether you're tucking into a piece of hot toast in the morning, or biting into a tasty sandwich at lunch, nothing beats great tasting bread. For our wholesome loaves we use a traditional sourdough recipe and nutritious ancient grains like sourghum and quinoa to create a lighter texture. But its not just about what goes into our bread. It's about what doesn't too, and we choose not to add any preservatives, we think it's the way bread should be made. Store in a cool, dry place. Once opened, reclose the packaging and consume within a few days or freeze as soon as possible., Best before: See top of pack.